Home > Uncategorized > The invisible orthodontics how to clean it? 28 Mar The invisible orthodontics how to clean it? Currently there are many people who wear invisible orthodontics. In the last 10 years, the demand for orthodontics has increased, especially in patients of adult age, who choose to undergo this treatment to improve their smile on an aesthetic level. In addition, from the Spanish Society of Invisible Orthodontics say that 70% of people surveyed say they would like to wear invisible orthodontics to improve their smile. The fact of being invisible plates has been a determining factor for users who want to fix their mouth decide to start with the treatment because in many cases, especially in adults, were reluctant to wear the metal brackets to which we were accustomed. Both for patients who are already undergoing invisible orthodontic treatment, and for those who consider it, there is a very frequent question and is how should it be cleaned? Well, the reality is that the invisible orthodontic plates are a bit delicate in terms of washing and care, since they are very thin transparent splints. It is for this reason that they need to be always very clean to be able to wear them without anyone noticing that you have nothing in your mouth. You should not fall into the error of believing that since they are splints that are changing every week you should not clean them properly. The function performed by the plates, if not cleaned properly, can be affected and decrease their effectiveness. Remove the plates to eat: at each meal you must remove them and put them in their respective box to ensure their care. Wash your teeth after every meal and before putting them back on. Both with orthodontics and without it you must take special care with your oral hygiene. 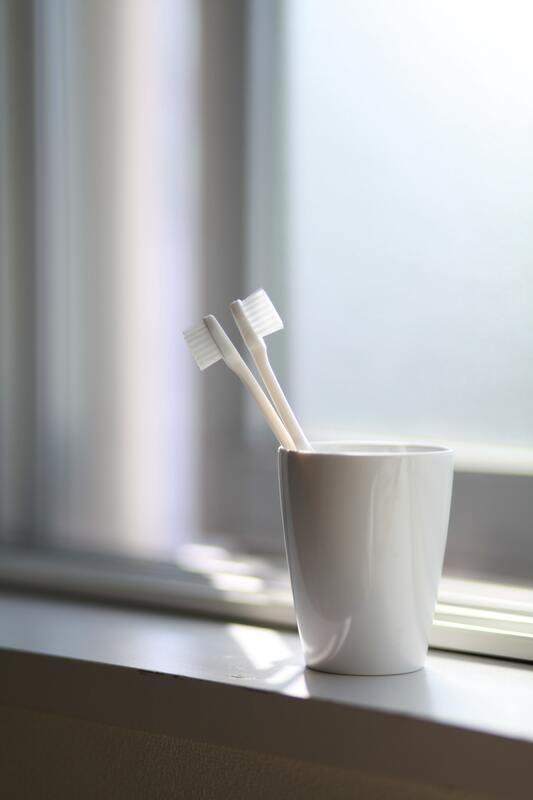 Brush the splints every day with a different toothbrush than you use to clean your teeth and preferably with warm water. Insist on the holes, since it is the place where more saliva accumulates. Do not use toothpaste to clean the splints as the material may deteriorate. Use a special soap with neutral pH. The rinse has to be done with cold water, never with hot water, as it could deform. You should also bear in mind that toothpastes can make the surface of the aligners opaque or scratch them. There are certain granular pastes or brushes with too hard bristles that could be detrimental to an optimal treatment of the plates. The pads that are used to clean dentures or dentures guarantee a thorough cleaning. Put your dental splints in a full glass of water and pour the tablet to dilute it. This should be done once or twice a week. These pills sold in pharmacies keep the plates clean and repel bad odors. Avoid smoking and drinking coloring liquids such as coffee, tea, tomato sauces, etc. that can fade the invisible orthodontics. You should also avoid products like chewing gum or candy. The chewing gum can stick to the aligners and sometimes can not be removed completely. The candies could discolor and cause caries in patients. Always carry your box on top: if you do not store your plates correctly you can easily deteriorate or fracture, as it is a non-flexible material. When you go to a restaurant, avoid wrapping them simply with a paper napkin. As you will see these tips, they will not take away too much time, and will ensure a greater success of the treatment. It is always important to take care of oral hygiene, both the splints themselves and also always very important of your teeth.